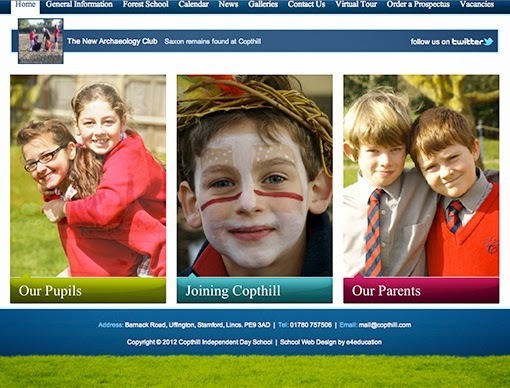 I can imagine the look of anticipation and excitement on the face of the member of staff at Copthill School who'd been given responsibility for the school's website when the designer suggested having a load of different scrolling images on the Home Page. Unfortunately, as Jon C points out, the pictures and the links below them don't always work too well together. I mean, I know that schools are all for promoting diversity and inclusion.